The Minerva Punjab midfielder opens up about life after the FIFA U-17 World Cup, his plans for the future and much more. 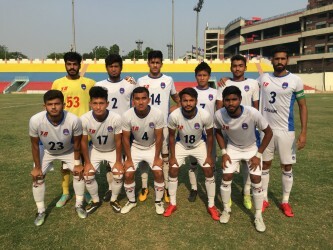 One of the squad members of the India side in the FIFA U-17 World Cup last year, Mohammad Shahjahan now plies his trade for Delhi United in the 2nd Division League this season. 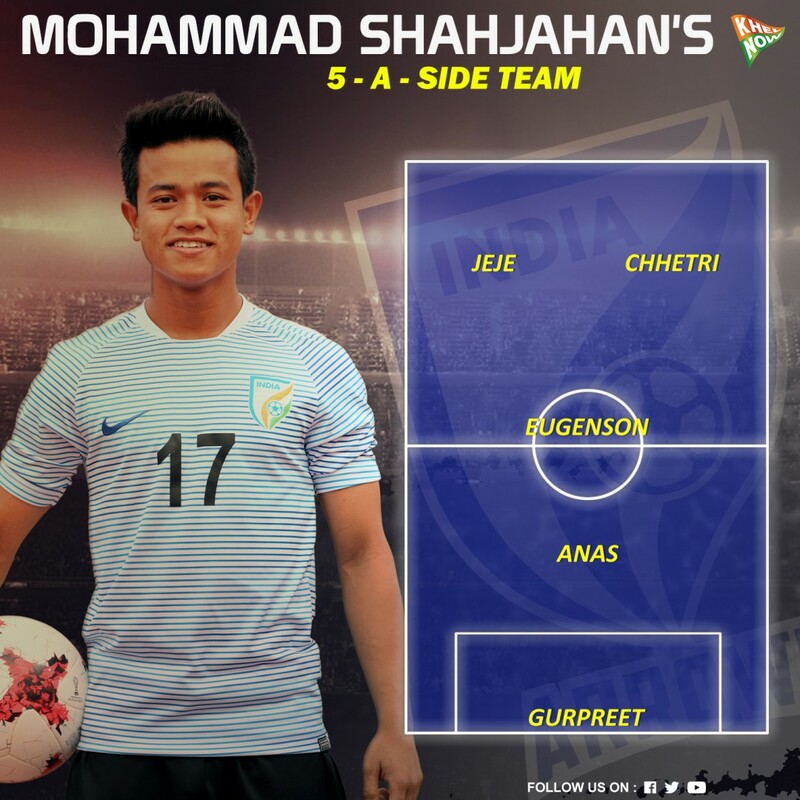 Like several of his teammates from that squad, Shahjahan could not break into the limelight at the tournament, but he hopes that his parent club, Minerva Punjab will hand him first-team opportunities some day. Shahjahan has a story impeccably made for the films, yet the player keeps a low profile and allows his game to do the talking. We caught up with him in a free-wheeling chat. 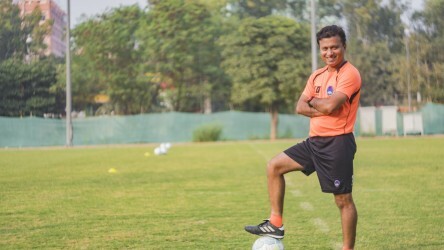 "Having done all that is required, there is always something or the other that needs to be done at the right time for the team," said the Manipuri midfielder speaking on the sidelines of a 2nd Division clash. He also revealed that scoring more goals is on his bucket list. However, he has now gone back to Minerva after his loan spell with the capital club came to an end. A regular on the podium in age-group football, Shahjahan won the Best Player award in U-13 and U-14 competitions. His performances resulted in him rising up to the district and state level in no time. Later, a trial at West Bengal’s Kalyani Academy where he was chosen to play for the U-12 side in the year 2012 finally saw him come into the spotlight in Indian football. 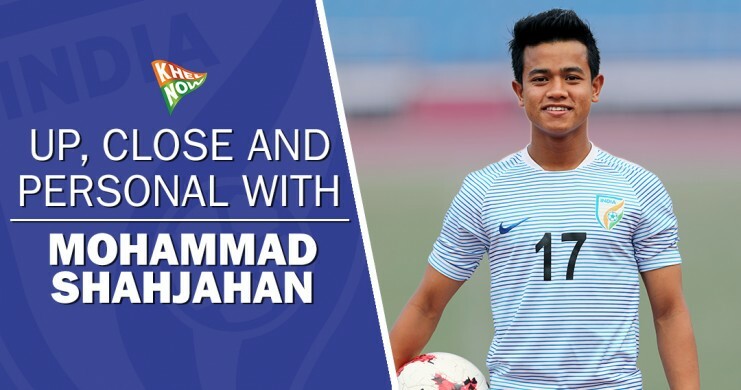 Finally, Shahjahan first big breakthrough came when he was selected for the Indian preparatory camp ahead of the FIFA U-17 World Cup. The starlet was also asked about the transition he has experienced since the World Cup. "The coverage and exposure by the media during U-17 Would Cup has brought football to a better level and has brought football to be seen in a better light by the fans and players together," he revealed. After the conclusion of the I-League this year, Minerva Punjab have seen a lot of their players being poached by heavyweight clubs across India. In a recent interview with Khel Now, the club's owne Bajaj asserted that he has many more talents waiting to take on the baton of the Warriors even if all of his star players go. India's star performer at the U-17 World Cup as well as Shahjahan's teammate, Dheeraj Singh Moirangthem was recently offered a contract by Scottish side Motherwell FC. When the Minerva midfielder was asked about his wishes to play abroad, he said, "The Scottish Premiership clubs' standers are very high. Right now, I’m completely focused on my game here in India."